Get Super Fast Internet Speed Using Open DNS Hack! First of all you need to know what is DNS and what is third party DNS like OpenDNS? DNS means Domain Name System (Service/Server) is something that converts your domain names into IP addresses. Like for example ip address of funinventors.com is 216.23932.21 . You can know any website's ip address simply by typing " ping Website Name " in command prompt. 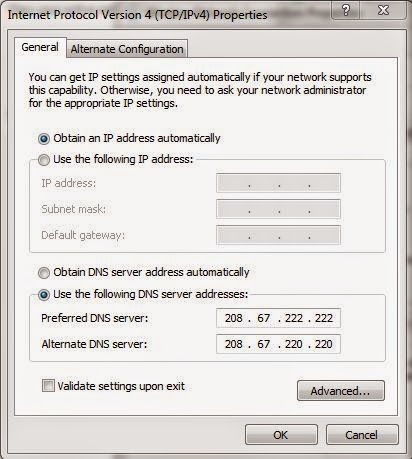 Computers and other devices make use of IP address to route the traffic and it is very much similar to dialing a phone number. DNS acts as an intelligent operator that bypasses the infinite address book of IP addresses. Your DNS manages this huge task. How an Alternative DNS/OpenDNS Service Will Speed Up Your Browsing and provide you Secure browsing? Your slow internet speed isn’t always your Internet Service Provider’s fault, instead it may be your DNS’s fault. 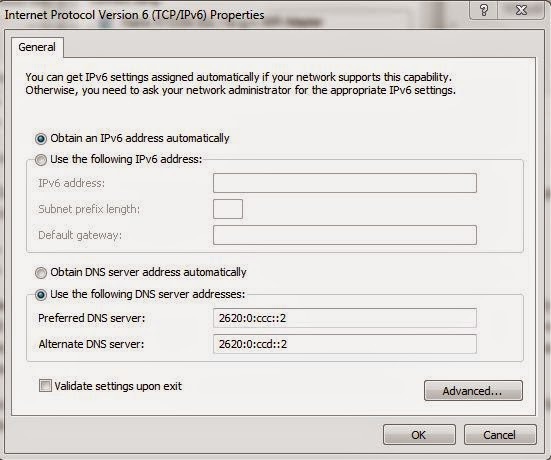 So why not use an alternative DNS service? As the present web pages continue to become more and more complex by inculcating innumerable things, so clients go for multiple DNS lookups for rendering one single web page. With the continuous growth in web, the existing DNS infrastructure is under more load each day. Now I’ll tell you to use a free public DNS service that will tell your computer to use that service instead of using your ISP prescribed service and will help you to get a faster internet speed. To get a faster internet speed using OpenDNS, first open Control panel. Go to Network and Internet options. 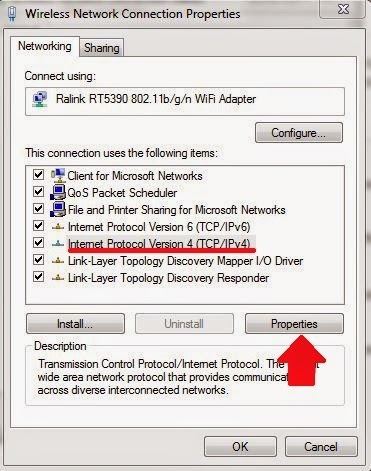 Highlight the Internet Protocol Version 4 (TCP/IPv4) and click on Properties. You are using OpenDNS’s servers now which helps you to to get a faster internet speed. There are more benefits of OpenDNS other than getting a faster internet speed. Usually if the DNS server of your service provider goes down you become unable to use the internet, but with OpenDNS method, even if the service providers DNS server is down, you can surf the internet normally. Now Enjoy faster Internet speed and have a secure browsing experience. 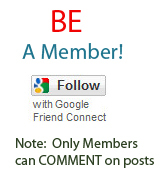 Share this Article with your Friends.